The application of computer vision in retail is set to fundamentally change the shopping experience for customers and retailers. In this article, we explore how retail has changed, what computer vision is and how the advent of computer vision is set to transform the retail environments of the future. There is no doubt that online shopping has already dramatically changed the retail industry and what consumers now expect from a shopping experience. The increased use of eCommerce has meant consumers now expect to see more options, detailed information, customer reviews and personalised selections of items that are uniquely chosen for them when they shop online. Alongside the instantaneous experience of online, it has also reduced prices and created a plethora of choice for consumers without the hassle of having to leave the house. With many companies offering next-day delivery and even same-day delivery this has decimated the traditional high street and shopping centre. Seeing a retail industry that is sadly in decline. According to research from Deloitte, e-commerce made up 20% of all retail sales in Britain by the end of 2018. Furthermore, Deloitte’s research found that British retailers closed stores in 2018 at a rate of 36% higher than in 2017. Among the retailers Deloitte tracked as part of their researchers, 7,500 stores closed in 2018. In a report by Empathy Broker, they found that over half of UK consumers (51%) now said they prefered shopping online over visiting a retail store. 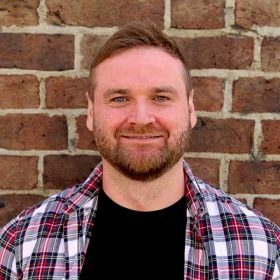 The increased competition from eCommerce has caused retailers to change tactics, the physical aspect of going to a shop has to offer an experience they wouldn’t have received online. Many retailers have consolidated their retail presence as it is no longer as profitable to operate many large retail locations. Instead, retailers are increasingly focusing on operating stores that provide an excellent customer experience, including flagship stores in urban areas and smaller, consultation-focused locations that integrate with their surrounding communities. Thankfully, at a time when retail is in decline, a new crop of technologies have appeared that will enable retail stores to provide unique experiences that consumers won’t receive online. These technologies are powered by computer vision, language recognition, and location services. These technologies will change the brick-and-mortar retail experience forever. In particular, computer vision in retail will enable more personalised and smooth experiences. 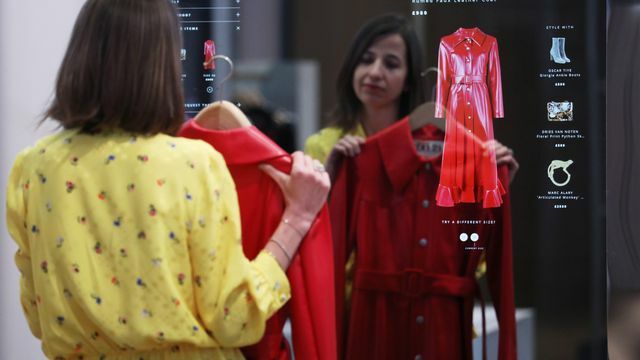 The store of the future will have a seamless connection between the dynamism and personalisation of online retail combined with the human interaction and tangible experience of shopping in-person. Retailtainment refers to the trend of creating an in-person experience when shoppers enter a store. Consumers can find nearly any product they want online, but in-person shopping will always have the edge over online in terms of human interaction, spaces designed to please and intrigue, and experiencing the sights, sounds, and feel of a busy shop and beautiful products. Computer vision is taking this experience-based shopping to the next level by allowing customers to imagine themselves using a product with augmented and virtual reality. Many retailers are testing ways to use AR/VR to tell their brand’s story and attract customers. For example, Amazon and Farfetch are two retailers working on smart mirror technology for fashion retail. Farfetch’s mirror allows you to order sizes and try different sizes without leaving the dressing room. Amazon’s technology uses augmented reality to model a customer and show them what they would look like in various outfits. Algorithms can even make recommendations about what would look best on you based on skin and eye colour and body type. A critical part of the move toward retailtainment and customised shopping experiences is allowing employees to spend less time on inventory and transactions and more time acting as personal consultants for shoppers in the store. Amazon Go is the high-profile example of using computer vision to automate the transactional parts of shopping. When you shop at Amazon Go, there is no till. You simply walk out with your items and Amazon knows what to charge your account from visual recognition. Such cashier-less stores aren’t an anomaly. In fact, China is ahead of the curve in terms of adoption of employee-free stores. The Chinese company BingoBox already has 300 stores that don’t require employees in thirty cities across the country. In addition to computer vision recognition of products, language processing can also identify customer needs. Poly AI is one company working on consumer language applications in retail. Language recognition combined with visual tracking are the key technologies that will help identify what customers are looking for. Automated systems can then deliver the product to the customer, and human employees can focu on offering advice, encouragement, and genuine interactions instead of climbing inventory shelves or operating a point of sale terminal. Another exciting application of computer vision in retail is context building for products. Already, apps like Google Lens allow you to take a picture of an item on your phone to learn more about it. Expect stores to do this with all their items. Packaging and tags can become much simpler, and information about items now lives online where it can be updated easily and offer even more information. In addition, computer vision is allowing retailers to analyze shopper sentiment. If someone looks unhappy or confused, it’s possible to send an employee to help. In Japan, SoftBank telecom uses in-store robots to greet customers in over 140 locations. These robots can perceive human emotions, solve common issues, and summon employees as needed. Computer vision can also assist with retail inventory management. On-shelf availability is a key indicator of a store’s sales and profitability. Several competing companies, including Shelfie Robot, have built computer vision powered solutions that notice when items are running low on the shelf and sends notifications to employees with exact item counts for restocking. The result is reduced overhead in restocking whilst also driving revenues through high product availability. Another cool example of this is Simbe robot, which roams stores to collect data on stock, prices and visual placements of products. These robotic assistants are set to enhance the quality of shop stock management and visual merchandising in stores of the future. Shops can also use computer vision to alert managers when a known thief has entered the store. Of course, customer data privacy, opt-in rules, and legal implications could become an issue if such a system were implemented. It’s important to consider the ethics of using AI in such cases and how we address machine bias when identifying risks. With the help of computer visions inventory technology, stores can become smaller. 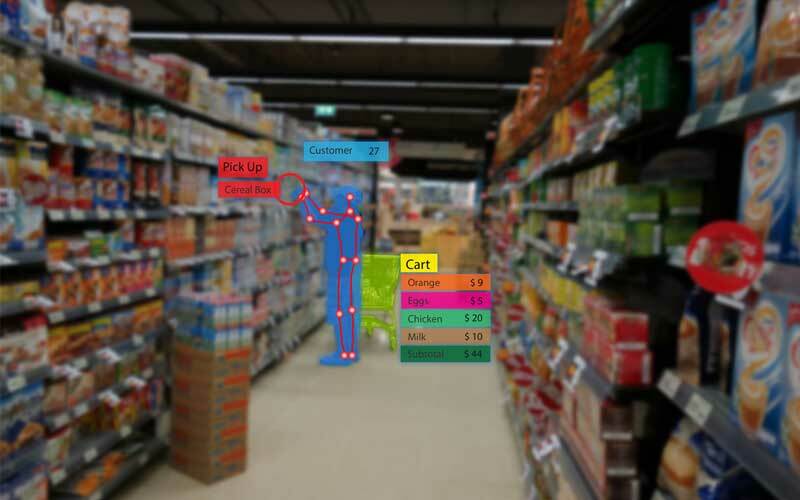 Autonomous inventory can use optical recognition to bring shoppers the items they need. As inventory takes up less space, retailers are cutting down on square footage in exchange for a more intimate experience. Macy’s, Target, Warby Parker are all examples of retailers working on small-scale store concepts. It’s common for retailers to use a loyalty program to learn about customers’ shopping habits and encourage repeat purchases. Computer vision is taking loyalty programming to the next level with facial recognition of regular customers. For instance, Lolli & Pops, a candy store, uses facial recognition to identify and give loyal customers a tailored experience. In the future, such loyalty programs will even remember your usual order at most cafes and restaurants. Facial recognition of customers or using phones as beacons is the biggest trend influencing the store of the future. Nike’s experimental store in New York relies heavily on your phone’s Nike app to make the physical and digital seamless. Shoppers can book appointments with consultants, scan mannequins for product info, and have items delivered to the dressing room through the app. Nordstrom’s new Local concept uses a similar consultation-based, highly customised approach as Nike. However, Nordstrom Local stores are very small and house no inventory on-site. Instead, you visit the store, speak with a consultant about what you’re looking for, and the consultant orders the items for you to try on at a fitting appointment. You can also shop online and pickup in-store. Even if stores don’t get rid of inventory entirely like Nordstrom, computer vision can help identify common paths and bottlenecks through the store. Aurora by RetailNext is one such technology using computer vision for layout optimization. Watching how shoppers normally move can help make layouts more efficient, decrease wait times, and make sure shoppers see certain promotions. Online, we’re used to machine learning offering us product recommendations and powering consumer profiles for retailers. Expect such algorithms to increasingly be applied in stores as well. 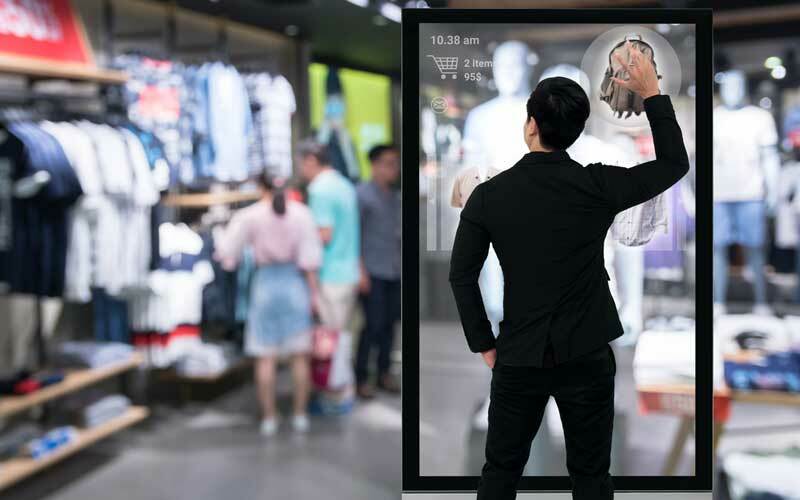 Computer vision, facial recognition, and visual item identification will play pivotal roles in making more intimate, personalised in-person shopping experiences a reality. No longer do we need to think about online versus in-store shopping. They will work together as part of a seamless sales experience for retailers.